The puzzles are not too hard, but are done so that you learn the rules as you go. It's fun and relaxing without being frustrating. I love the background music, it's very zen like and matches the game and moment so well. I wish they would release a level pack or two of the same quality of the first set of levels. Well done! I want new levels soon! This is the best game ever!!! But..... As nearly perfect as the game might be, it's price is too steep even for the quality, you'll enjoy this game tremendously, from the vividness of the animation, to the soothing and subtle sounds, the storyline is pretty vague, but there. Throughout the game, not much is explained about her banishment. This game deserves 5stars, but I'm withholding because the amount of levels to price ratio isn't balanced. I love this game so so so much, graphics are amazing and the puzzles are so cool! But you have to pay a lot of money to play more stuff, they need to add way way way more levels that are free, I finished the first few levels in almost a whole day. This game plays with geometry to keep you thinking and make the impossible possible. Absolutely worth the price, and the in-app purchase for Forbidden Shores too. It will be awesome to add more levels, it's been a long time and I've been waiting for it for a long time! Also add a feature that you can make your own levels!!! I bet if you do that, you will be almost on the top charts!!! I loved playing this game. Beautifully creative levels that get you to think critically. I hope the developers continue to release more packs in the future! Fun but only ten short levels for this price!? Nope. Not again. I LOVE this app. I got it free from the Starbucks App of the Day when they did that still and I love it. I also bought the expansion pack, I think it's worth it. 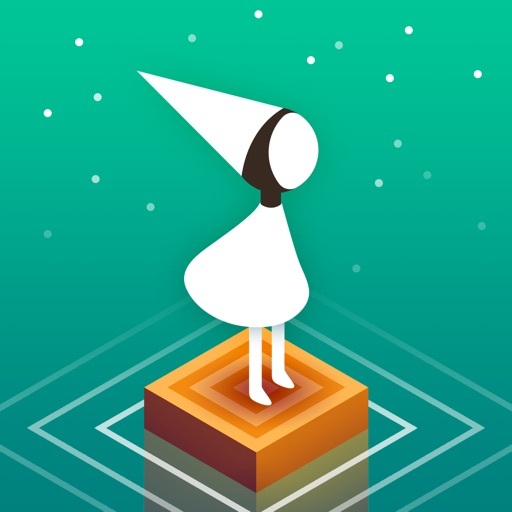 The music and design and storyline are really well written and come together to produce an elegant app that is severely under appreciated in my opinion. The graphic designing is literally a dream and there's no one I've talked to whose played it who doesn't like it. The idea is also really unique, especially with the different dimensions. Most apps today are 1. Jump around some obstacles or 2. Build your own world with blah animals/humans. But this one is special and worth your time. It also helps work the brain. If you aren't sure about the money there's a similar app called Mekorama which is free, and you should try that first, because if you like that you'll love this app, in which case you should get it! Just some advice take it or leave it.